After running application on device application required unwanted location permission that is not mention in manifest file. While when I am running same code from my friend Android studio than its run normal without extra permission required. So I am unable to understand why its require location permission. How this location permission added in my app? This library will request location permissions, as several pieces of Play Services need it. First, never use +. If you want to allow free-floating patchlevels (e.g., 22.0.+), that's not completely insane, but using + for the version is insane. Next, consider using one (or more) of the more focused dependencies, rather than the full Play Services SDK. Not only will this perhaps eliminate the permission that you do not want, but your APK will be a lot smaller. The documentation covers the available options (see the "Selectively compiling APIs into your executable" section). If you still wind up with permissions that you do not want, then you will need to determine where the permissions are coming from. There should be a manifest merger report in build/outputs/logs/ of your module. It will be a bit difficult to understand, but hopefully you can identify the library that is contributing this permission. Also, Android Studio 2.2+ will show your merged manifest in a sub-tab when you edit your manifest. This will require you to add xmlns:tools="http://schemas.android.com/tools" to the root <manifest> element if it is not already there. This will tell the build tools to explicitly exclude this permission, even though libraries are contributing it. However, your use of those libraries may break. Only do this if you have a dedicated testing team that can spend the time needed to ensure that your decision to block this permission will not result in crashes or other behavior that affects the user. This will remove the other unnecessary permissions. 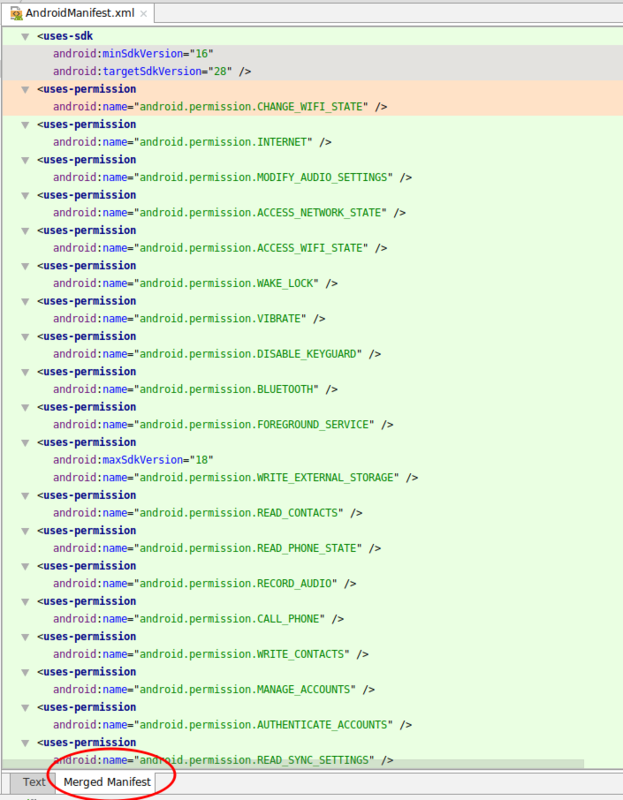 You need to check the merged manifest. Libraries that you use can also request permissions. That is where that permission comes from. Not the answer you're looking for? Browse other questions tagged android android-gradle build.gradle android-manifest android-permissions or ask your own question. Why is my app requesting permission to find and use accounts? 6 Permissions added out of nowhere? 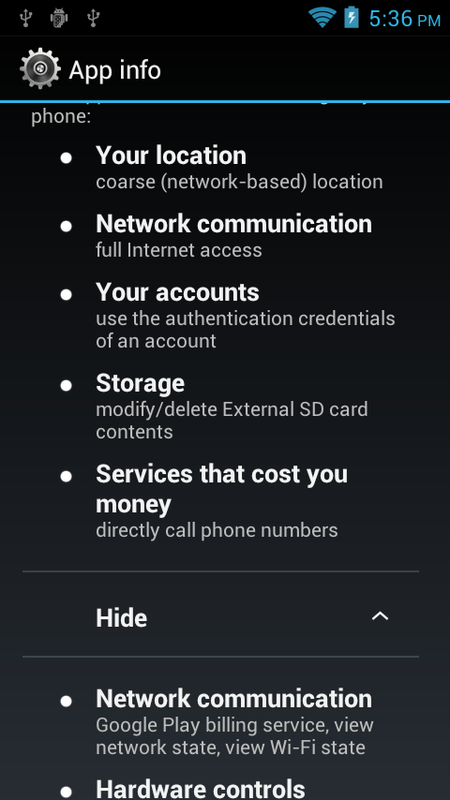 Why does Android M's permission manager show Location?